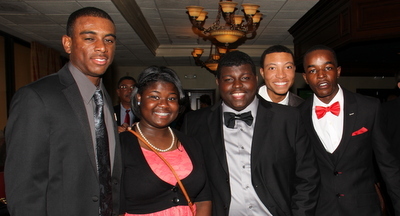 "9th Annual AAGHOF Celebration 2013." 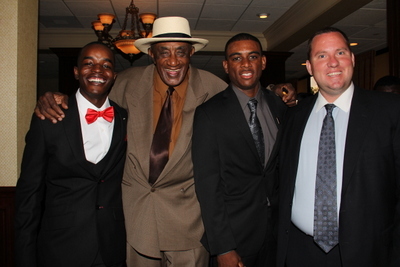 "8th Annual AAGHOF Celebration 2012." 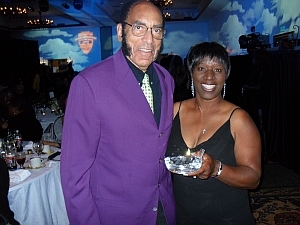 Founder Malachi Knowles on a recent trip to the San Diego, Ca area was able to present the Trailblazer AAGHOF Award to Horace Brown. 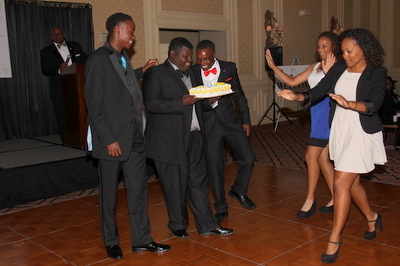 His family was there to congratulate him. 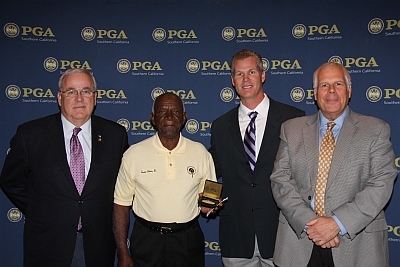 He was also able to surprise Gordon Brown, Sr. as he received his award from the PGA Southern California sectional. 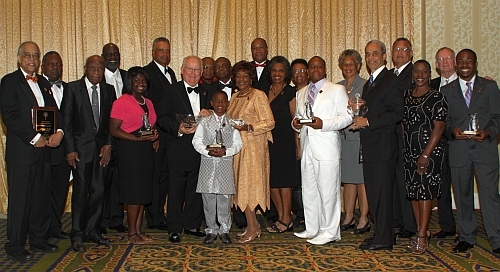 "7th Annual AAGHOF Celebration 2011." 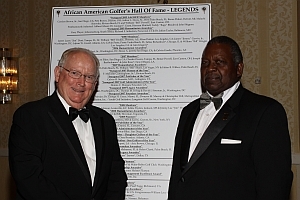 Welcome to the official website of the African American Golfers Hall of Fame, Inc. (AAGHOF). Take as much time as you wish. 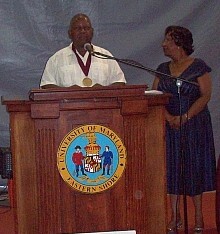 "Dr. Thelma B. Thompson Inducted into the African American Hall of Fame." 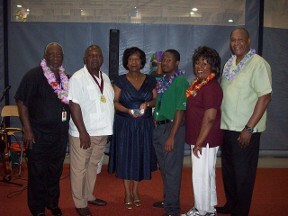 "AAGHOF Founder receives UMES Presidential Award"
L:R- Malachi Knowles, Founder of the AAGHOF display the Presidential Award; Malachi Knowles receives UMES Presidential Award from UMES President Dr. Thompson; James Black,Malachi Knowles, Dr. Thompson, Norris Brown, Selina Johnson & Dr. Boger gather for a photo after the presentation. “U.S. 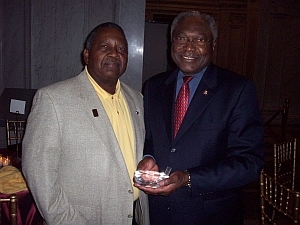 House of Representatives Majority Whip James E. Clyburn (Charleston, SC) formally received his induction awards from African American Golfers Hall of Fame Founder, Malachi Knowles during the 40th Annual Legislative Conference of the Congressional Black Caucus Foundation (CBCF) in Washington, DC on September 17, 2010 at the Carolina’s Celebration at the U.S. Library of Congress, Washington, DC.” The Honorable Dr. Andrew A. Ray, Grand Basileus, Omega Psi Phi Fraternity, Inc. was among the dignitaries. 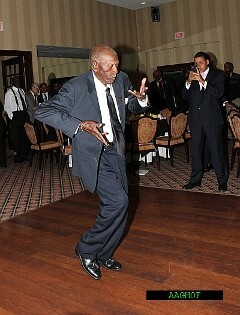 AAGHOF Member and fellow U.S. Congressman Wm. 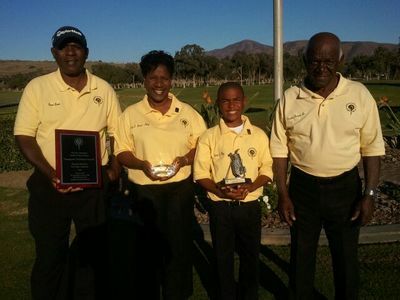 Lacy Clay (St. Louis, MO) also hosted the first “Golf: Educational and Personal Advantages For Minority Youth” workshop with other AAGHOF members from around the country participating and supporting (Avis Brown-Riley, San Diego, California; James Garvin, Washington, DC; Selina Johnson, Detroit, Michagan; Renee Powell, LPGA, East Canton, Ohio and Dr. Ernest P. Boger, University of Maryland Eastern Shore; Donna Joyner, Dallas, Texas) at the Washington, DC Convention Center, September 17, 2010. It was an excellent addition to the CBCF educational sessions. 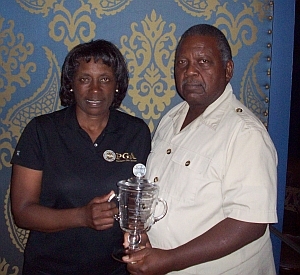 Renee Powell, LPGA, formally receives “AAGHOF Induction Awards” for her deceased father, William James Powell (December 31, 2009 – 93 years) - “2009 PGA Distinguished Service Award” - recipient and herself in Washington, DC, September 16, 2010. 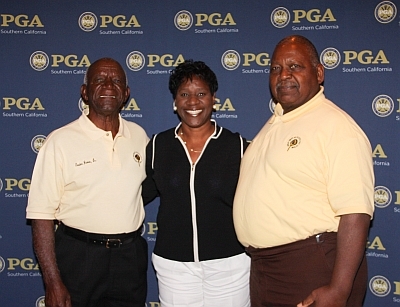 Bill Powell was the first African-American to conceptualize, build, own and operate a golf course – Clearview Golf Course in Osnaburg Township, Ohio. 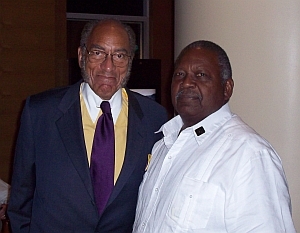 Earl Graves of Black Enterprise, and AAGHOF Founder Malachi Knowles, find time to get together during the Omega Psi Phi Conclave Convention in Washington, DC July, 2011. 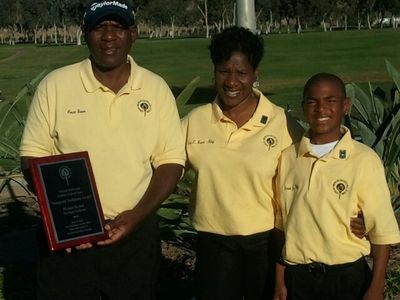 Earl Graves is getting ready for his 2011 Black Enterprise Golf & Tennis Challenge, which returns to the Doral in September. 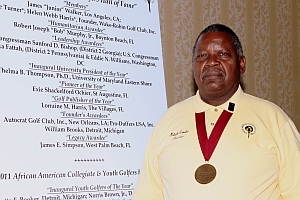 Founder Malachi Knowles presented Earl Graves a proclamation during the Black Enterprise Golf & Tennis Challenge held during the 2013 Labor Day weekend at PGA National Resort in Palm Beach County, Florida. 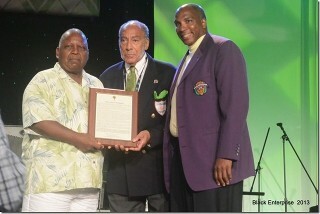 Graves Formally Inducted into the AAGHOF during the 2010 Black Enterprise Golf & Tennis Challenge. 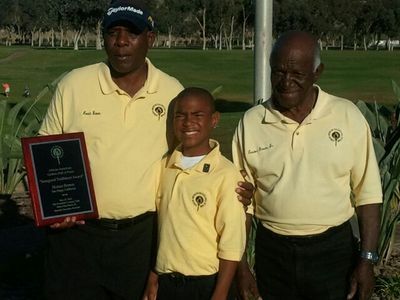 African American Golfers Hall of Fame is a proud supporter of Inner City Youth Golfers', Inc. The AAGHOF in support of " Survivors" those fighting cancer and in memory of those that have lost the fight. Join Your Bosom Buddies II stomp out cancer 365 days of the year!